While the Audemars Piguet Royal Oak was first introduced in the early 1970s, it wasn’t until 1997 that a chronograph version made its debut. 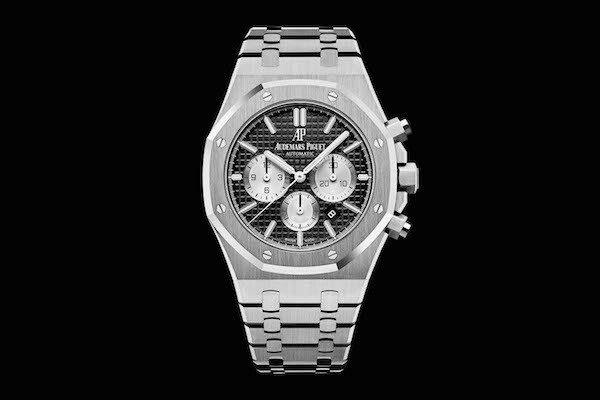 Naturally, on the occasion of the 20th anniversary of the Royal Oak Chronograph in 2017, Audemars Piguet released some fresh new models to celebrate. And today, we’re taking a closer look at one of them, the stainless steel Audemars Piguet Royal Oak Chronograph 20th Anniversary ref. 26331ST.OO.1220ST.02. When Audemars Piguet unveiled its latest Royal Oak Chronograph collection at SIHH 2017, the new models brought about a few minor aesthetic updates but nothing major. 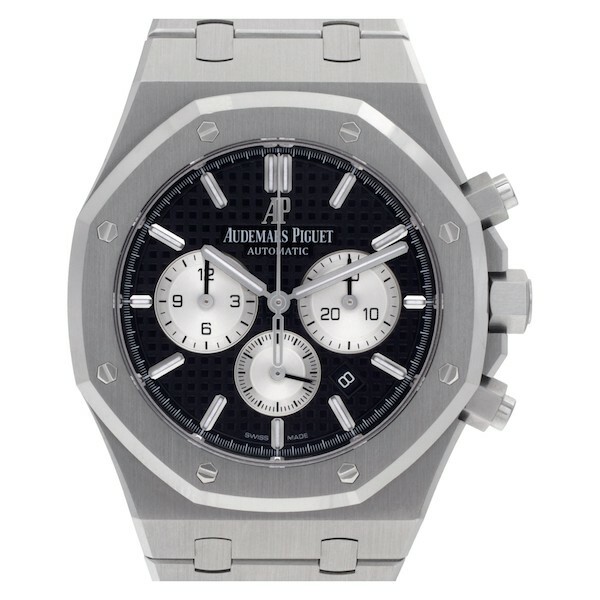 When AP first introduced the Royal Oak Chronograph in 1997, it did so with 39 mm cases, complete with the characteristic octagonal bezel. However, in 2012, the models were overhauled to sport larger 41 mm cases. And now, the latest Royal Oak Chronographs released in 2017 retain that 41 mm case size. The new chronographs also retain the dependable Caliber 2385 automatic movement from previous editions, with a vertical clutch and a 40-hour power reserve. Now for the updates; the dials of the latest RO Chronos are now two-tone rather than monochromatic. As a result, the contrasting trio of subdials really pops against the “Grande Tapisserie” hobnail textured dial background. Look a little closer at the dials and you’ll also note that the counters at 3 o’clock and 9 o’clock grew slightly and the hour markers fattened up a little to accommodate more lume. What’s more, due to the larger size of the 3 o’clock subdial, the date window (tucked in between 4 and 5 o’clock) had to move slightly closer to the 5th-hour index. It’s clear that these refreshes on the Royal Oak Chronograph are subtle, but sometimes it’s about tweaking the small details–after all, why mess with a good thing? In true AP form, the new Royal Oak Chronograph was made available in a range of materials, dials colors, and strap/bracelet options. What we have here is the stainless steel version of the Audemars Piguet Royal Oak Chronograph 20th Anniversary with a “Reverse Panda” dial. Housed within the stainless steel 41 mm case is a black Grande Tapisserie dial, which sets the perfect background for the silver-toned counters, white gold applied hour-markers, and white gold center hands with luminescent coating. Sitting on top of the steel case is a matching brushed steel eight-sided bezel, secured via eight exposed screws. 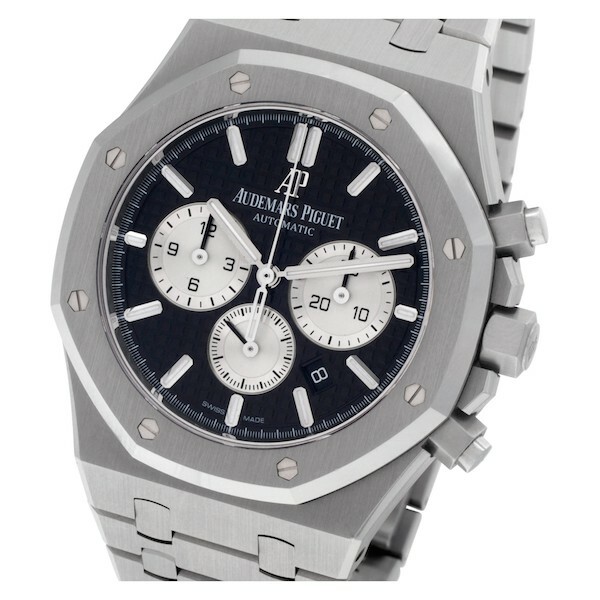 Completing the monochromatic look of the sleek steel AP Chronograph ref. 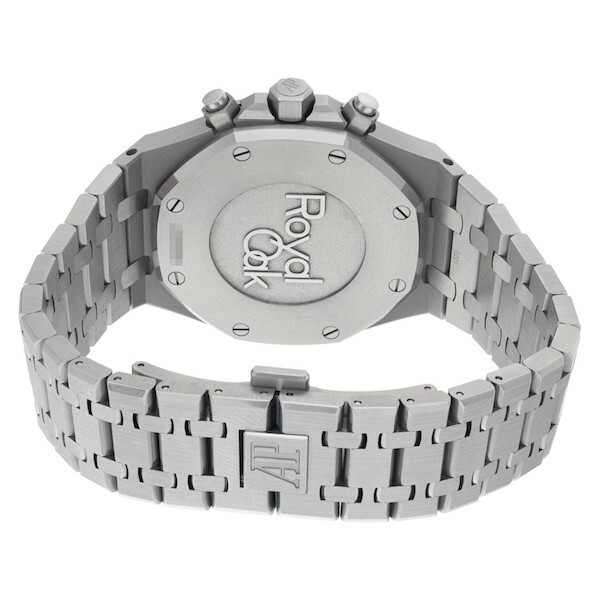 26331ST.OO.1220ST.02 is the signature integrated Royal Oak bracelet, complete with a folding clasp. When you have a luxury sports watch that looks as great as the Royal Oak Chronograph, it doesn’t need much updating along the way to keep it gorgeous and relevant two decades later. The RO Chronograph collection’s return to the two-tone dial is a nice touch moving forward and the black and white reverse Panda style is a coveted look across many luxury watches. All in all a top-tier chronograph that would make a fantastic addition to almost any watch collection.